Co-hosts: An Apple for the Teacher, GoldieTalks Speech, Resourcing Time, Resource Ranch, Really Reading, Carrie Lutz, The Teacher's Desk 6, and Cultivating Exceptional Minds. Rules: Use the Rafflecopter to enter. 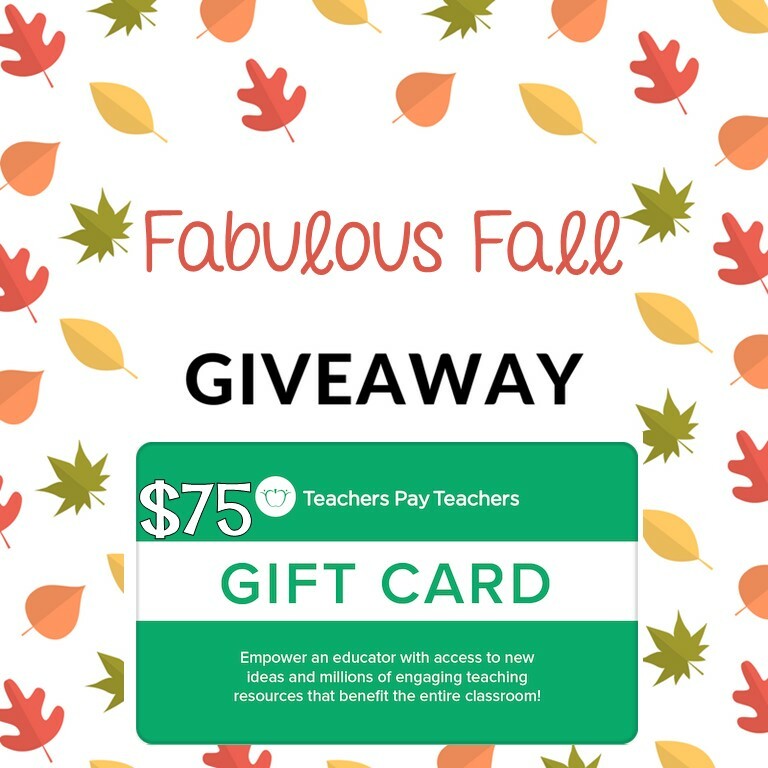 Giveaway ends 10/16/18 and is open worldwide. Rules: Use the Rafflecopter to enter. Giveaway ends 10/15/18 and is open worldwide. Co-hosts: An Apple for the Teacher, Samson's Shoppe, TheBeezyTeacher, The Froggy Factory, Teaching in the Heart of Florida, Jackie Crews, Chocolate 4 Teachers, PreK Kristin, 1stgradefireworks, The Literacy Garden, Teach with Hope, Kelly McCown, Walk with Me a Second, Reading and Writing Redhead, It's a Teacher Thing, Mrs Wenning's Classroom, Right Down the Middle with Andrea, A Plus Kids, Josie's Place, The Chocolate Teacher, and Leah Popinski. Rules: Use the Rafflecopter to enter. Giveaway ends 10/13/18 and is open worldwide. 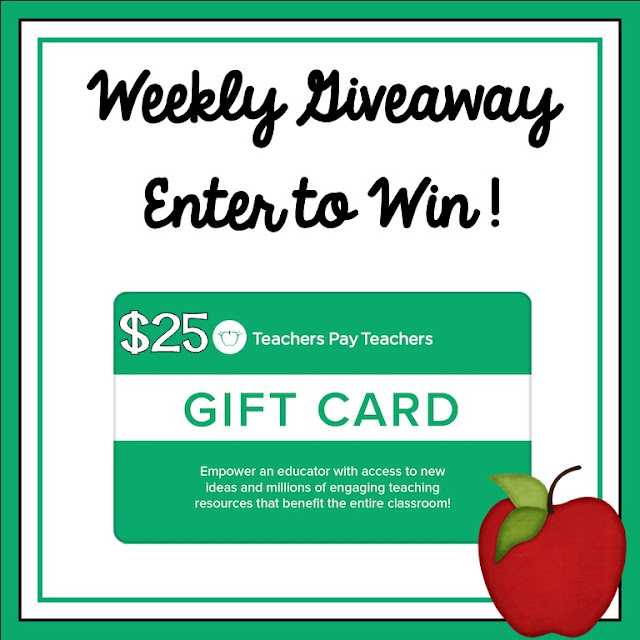 This month we have 2 chances to win! Head on over here for a second chance! 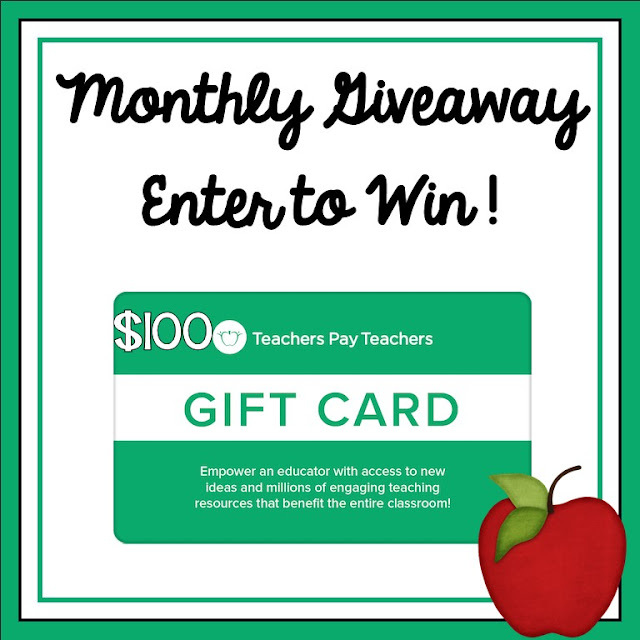 Monthly $100 Teachers pay Teachers Gift Card Giveaway - October 2018 Part Two! Co-hosts: An Apple for the Teacher, MM Bilingual, Mickey's Place, Planet Happy Smiles, Carrie Lutz, Star Kids by Naomi, Star Kids, Peas In A Pod, Ms. K, Globe Trottin' Kids, Sandra Naufal, Kamp Kindergarten, Simone, It's Kinder Time, Learning Inspired, Sarah Griffin, Teacher Gameroom, Sliding into 1st, KB3Teach, Kari Hall and The Cozy Crafty Classroom. Rules: Use the Rafflecopter to enter. Giveaway ends 10/8/18 and is open worldwide.